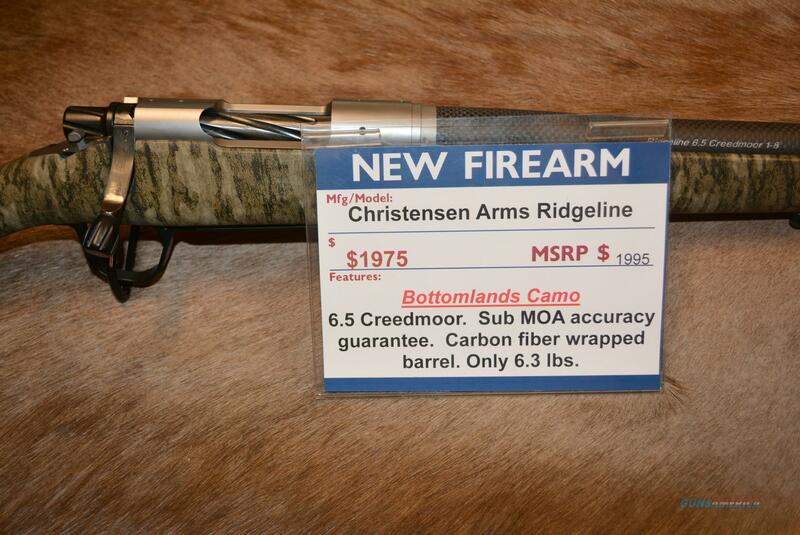 NEW - Christensen Arms Ridgeline riffle - ACCURATE carbon fiber wrapped barrel. 6.5 Creedmoor - FLAT SHOOTER - Sub MOA gun. Special Offering in Bottomlands Camo!